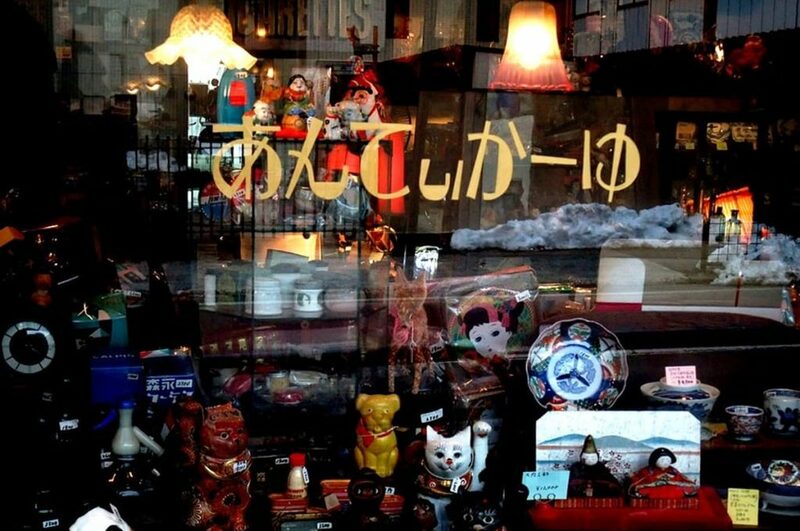 Shimokitazawa Tokyo – Often referred to as “Shimokita”, Shimokitazawa is the veritable Hipster’s Paradise! This neighborhood has the best fashion shops, cafes, bars, entertainment and is conveniently located close to Shibuya, Tokyo. 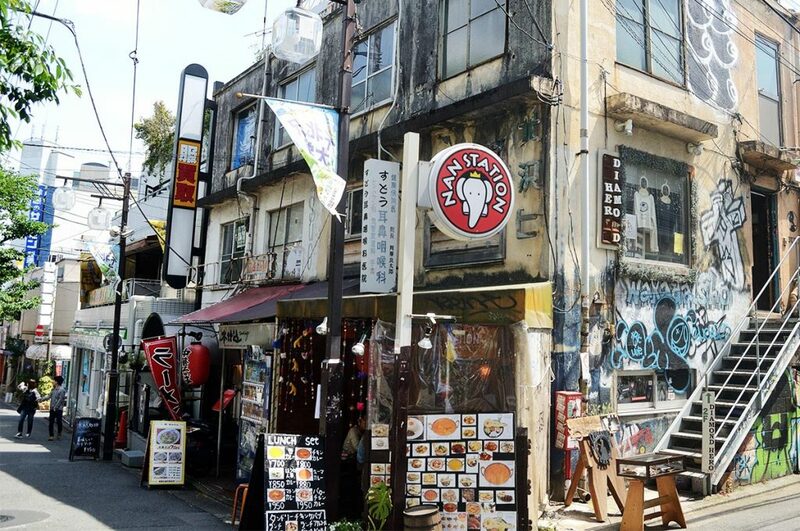 Once you’ve finished seeing all the mainstream areas Tokyo has to offer, head over to Shimokitazawa to get a nice change of pace from the hustle and bustle normally found in the big city. 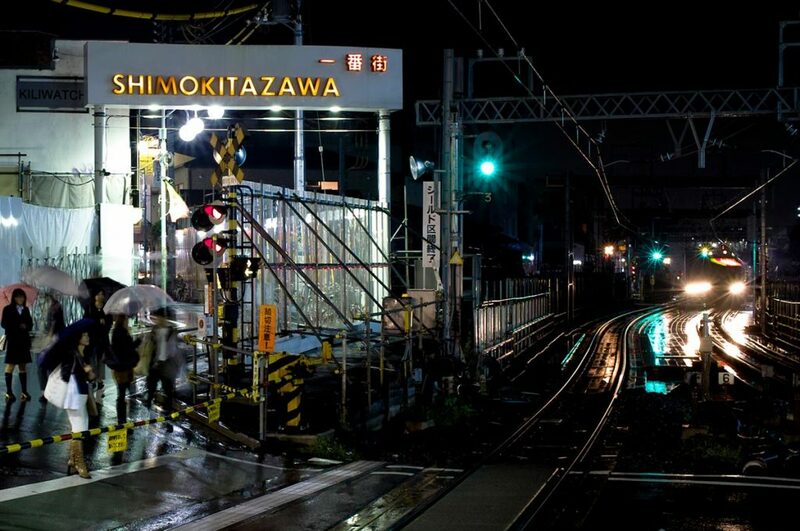 Below are our favorite places to go and stay in Shimokitazawa. If you want to experience a side of Japan reserved only for the ‘cool kids’, then don’t be afraid to head on over and see if it suits your fancy! Since it is so close to Shibuya, there are many different routes available to make your way over to Shimokitazawa Station. Here are the quickest, cheapest routes that we suggest. 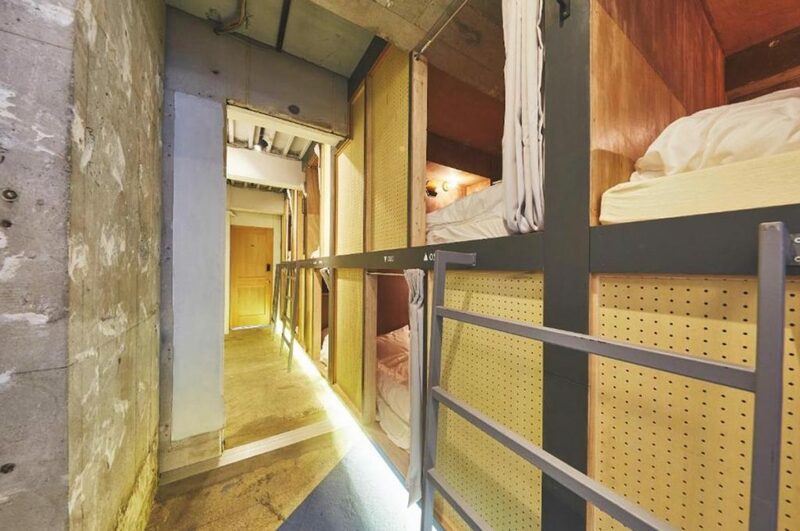 There are plenty of reasons to stay the night in Shimokitazawa. 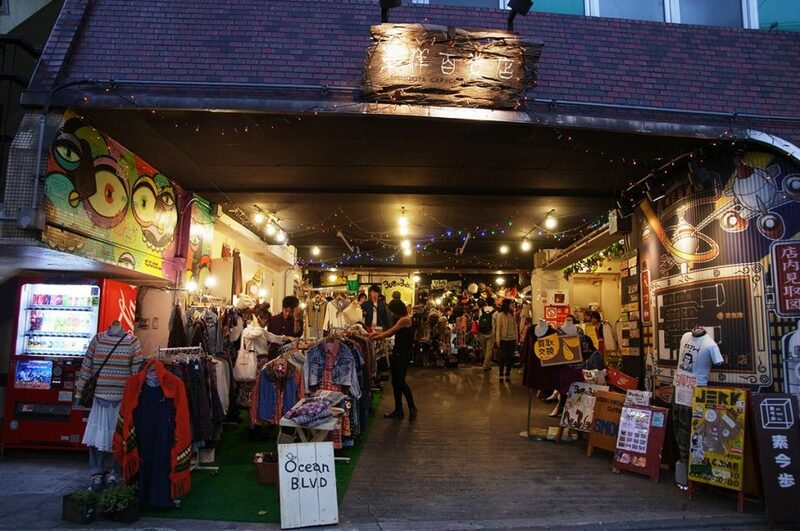 You might have too many bags full of awesome clothes and accessories, be too tired from all the venues and events you’ve been to, or just want to get up early for another day in the best area in Japan where hipsters can thrive. 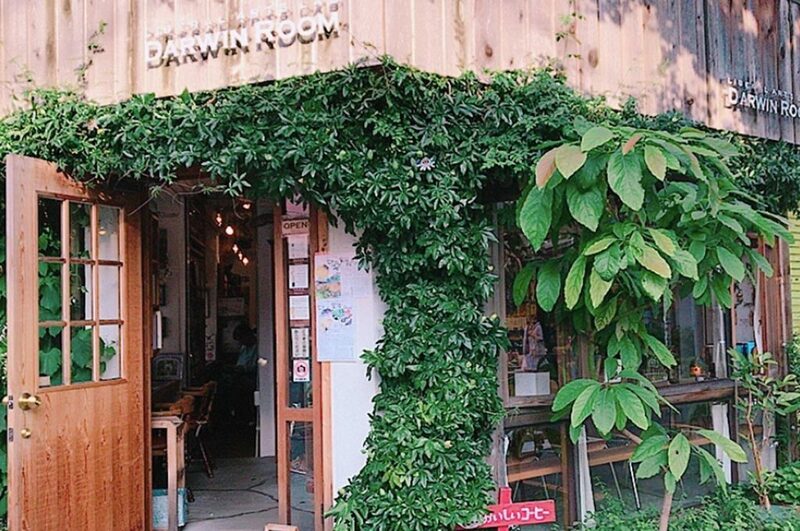 No matter what the reason, we’ve got a couple suggestions for the best places to stay in Shimokitazawa. Best Features: air conditioning, free WiFi, multiple languages spoken by staff, key card access, and only a 2 minute walk away from Shimokitazawa Station! Price: from 4,000 yen per person/per night. What self-respecting hipster doesn’t want to stop by vintage and second-hand shops while touring one of the most interesting countries in the world? Here are a few shops that should get you started on the right path to finding something that’s just perfect for your taste in hipster fashion! With items dating back to the 1800s, you’re sure to find completely unique pieces that fit your personality! Showcasing wonderful knick-knacks, Antiquaille is the perfect store to find cool souvenirs for friends and family that are available nowhere else in the world! If you’re lucky, you just might even find rare Japanese china for your collection. Are you looking for one-of-a-kind, handmade articles of clothing that truly set you apart from everyone else? Then Ocean BLVD has you covered! Even if you’re simply looking for a new bike, this awesome store has it all! 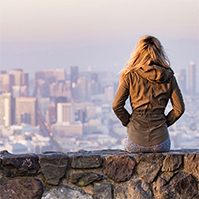 Ocean BLVD has so many items to provide to its clients that it can’t keep them all inside – jackets, shirts, pants, and other amazing accessories spill out into the street to attract everyone with an eye for hipster fashion. Specializing in American fashion from 1940 to 1980, hipsters who want a little piece of history to wear and display proudly can do so without breaking the bank. 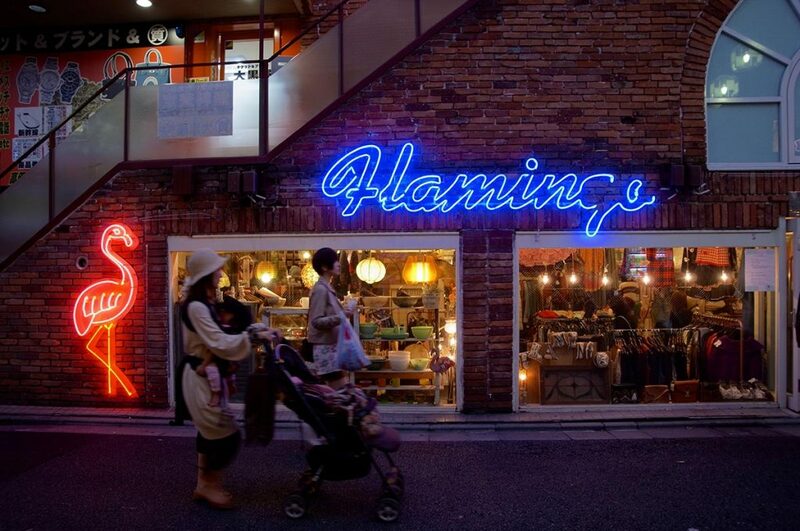 Though they offer more men’s clothes than women’s, Flamingo has a little something special for everyone! Have you been looking to purchase a yukata, kimono, or obi of your very own? Well look no further! Not only will you find the best prices on used Japanese ceremonial clothes, but also the most unique and stylish ones around! 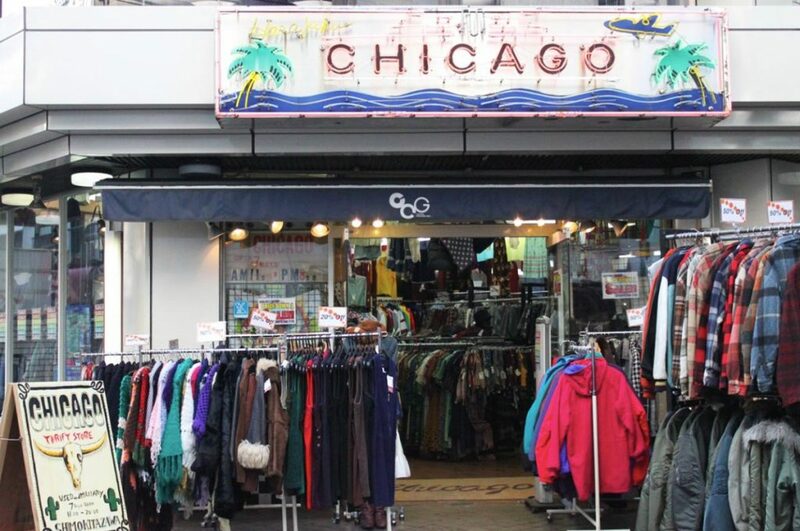 Chicago is one of the best places in Shimokitazawa to satisfy all of your hipster fashion needs. If you want more shops recommendations, take a look at our article about the Best Areas for Shopping in Tokyo. Feeling hungry or thirsty after shopping and sightseeing? Grab a cup of coffee or a bite at any of these awesome and hip cafes and restaurants! Are you in the mood for top quality, fresh out of the ocean, best priced Japanese cuisine? 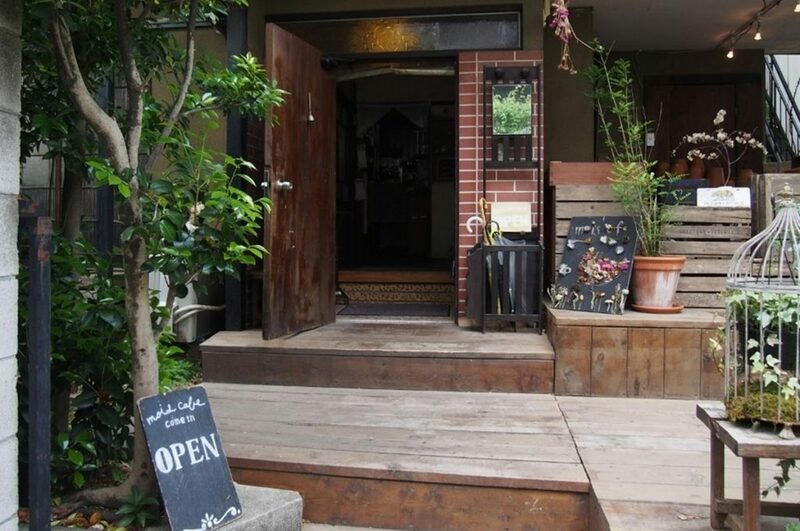 Then make sure Nishinba is on your list of must-dine-in places in Shimokitazawa! Everything is made from scratch and all dishes are great value for your money! At first glance, you’ll think you’re entering another Japanese household. Instead, you’ll find Mois Cafe, a chic and trendy spot where locals like to enjoy a pleasant afternoon of snacks and drinks. The deserts are to die for and the drinks aren’t half-bad either! Take a load off and relax between shopping sprees at this unique and hip cafe! The interior of this coffee shop is almost too strange and crazy to describe, but a few items stand out above others: a Charles Darwin finger puppet, a life-sized stuffed zebra, loads of books, and amazing works of art. Enjoy delicious sweets and perfectly crafted drinks while you flip through the pages of books available to all guests. 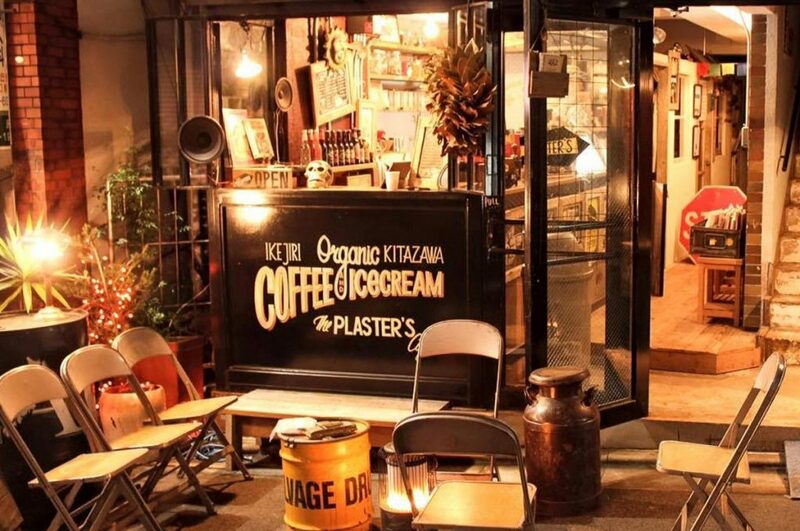 Part shop, part cafe, part gallery, and part art studio, The Plaster’s Cafe is one of the most well-respected eateries in Shimokitazawa. Get your food and drink on the first and second floors of this five-story establishment before heading up higher to look at cool and fashionable art and merchandise! If you’re looking for a place to both relax and continue your shopping spree, this is it! 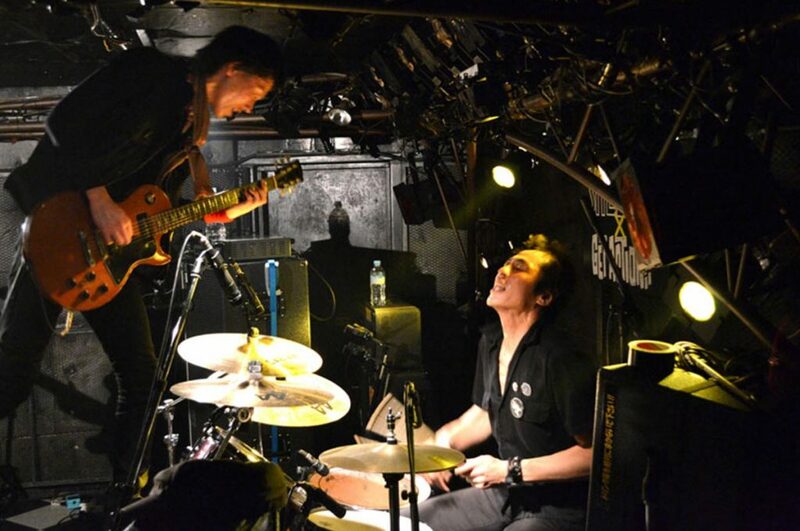 Shimokitazawa has amazing bars and live venues available almost everyday! No matter where you look, there’s always something great to see and amazing to do in this hip area! Want to have an enjoyable girl’s night out without breaking the bank? Mother’s got you covered. 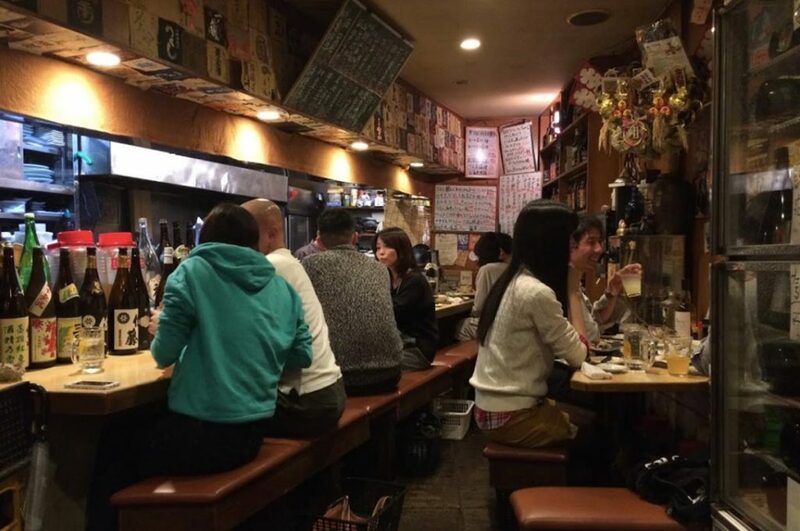 Offering Vietnamese and Chinese cuisine, this chic bar is only a three-minute walk away from Shimokitazawa Station, making it easier than ever to head back to your hotel after a night out! This bar’s main claim to fame is that the owner is dedicated to bringing alcohol from all different areas around the world to serve to customers. Looking for something personal and one-of-a-kind? Ask for a cocktail made just for you and you shall receive! Though it can get quite pricey with personalized beverages, the Algonquin’s Bar is worth every yen! 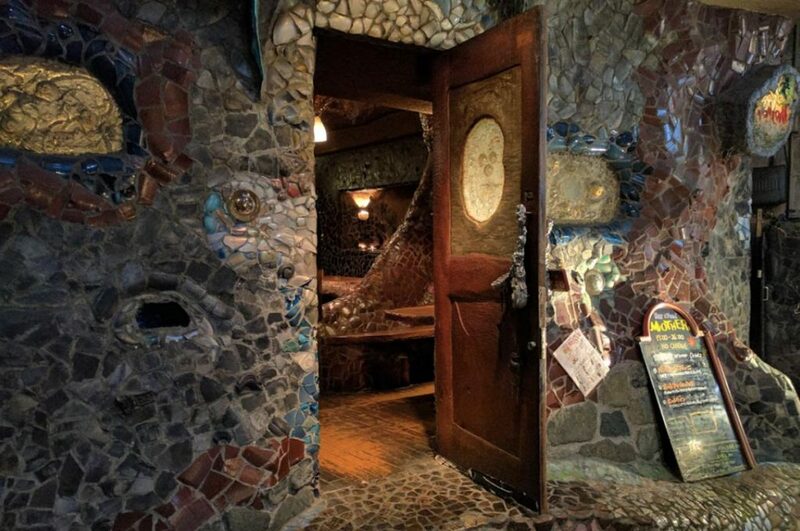 For those musicians out there, this bar is perfect. It’s even said that celebrities come by often, so if you want to see someone famous, just know that your luck is better here! 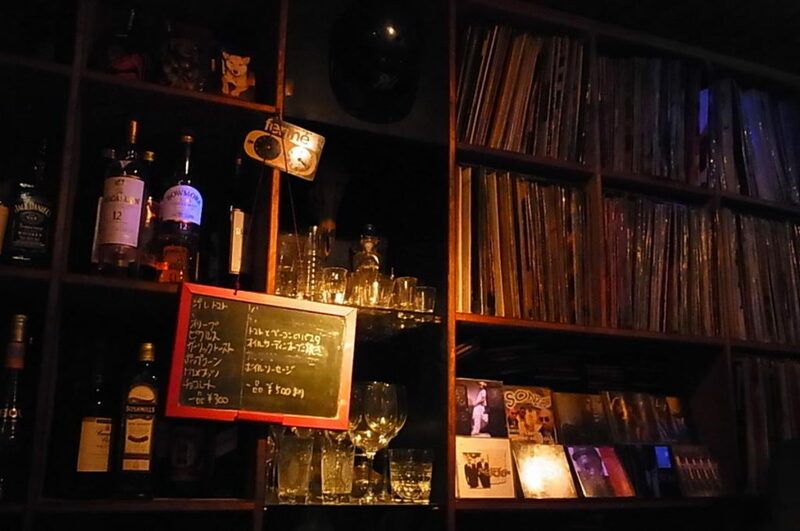 Don’t worry about trying to catch the last train home in time; Bar Secondo Tabacchi is open until 7am for all those party-animals who just want to stay out and enjoy their time in Shimokitazawa! Garage is an amazing music venue that’s been around since 1994. If you flash them your passport, you’ll even receive a 50% discount on tickets to the hottest venues in Japan! They also have a store that sells CDs of the bands that play at the venue, and there’s almost always a show on every night! Stop by to get your fill of musical thrills! 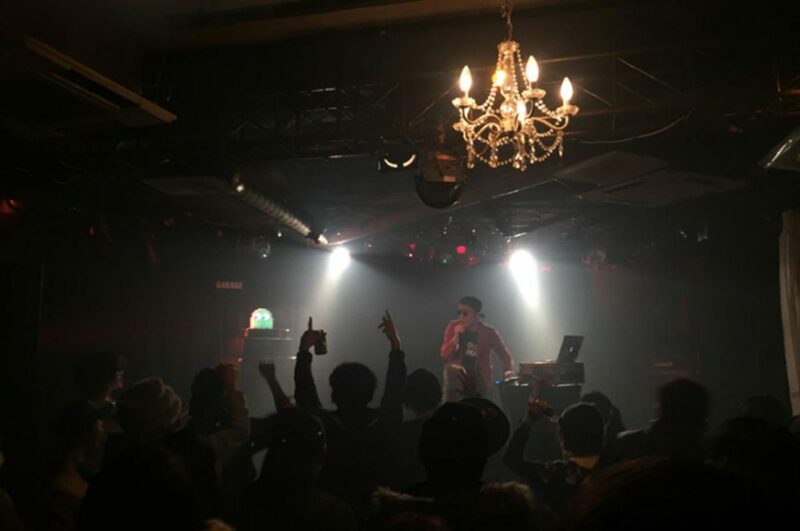 Relatively new to the music scene, Liveholic features loud rock that is sure to please those who can’t find what they’re looking for in the tamer areas of Tokyo. 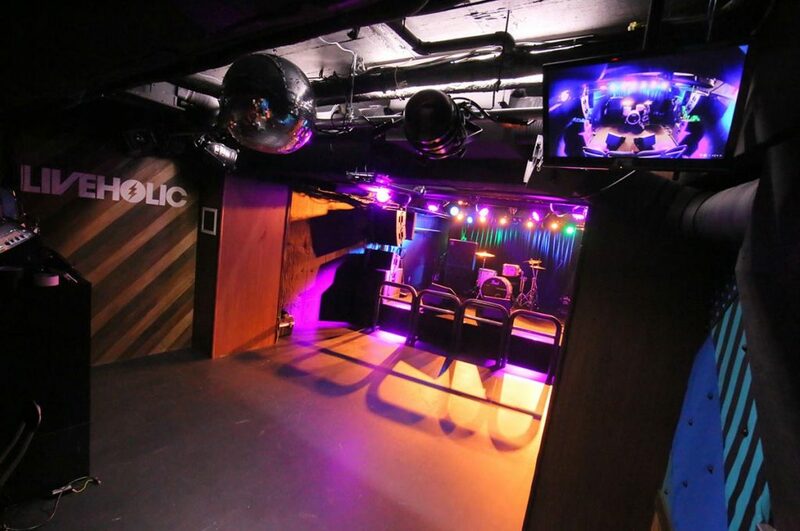 Situated a floor above a bar, Liveholic is an excellent place to drink, dance, scream, and have a good time! No trip to Japan would be complete without participating in the local festivals! Each season has its own festivals, so plan your trip accordingly to what you want to see the most! Though we must say, the summer festivals are certainly the most entertaining! 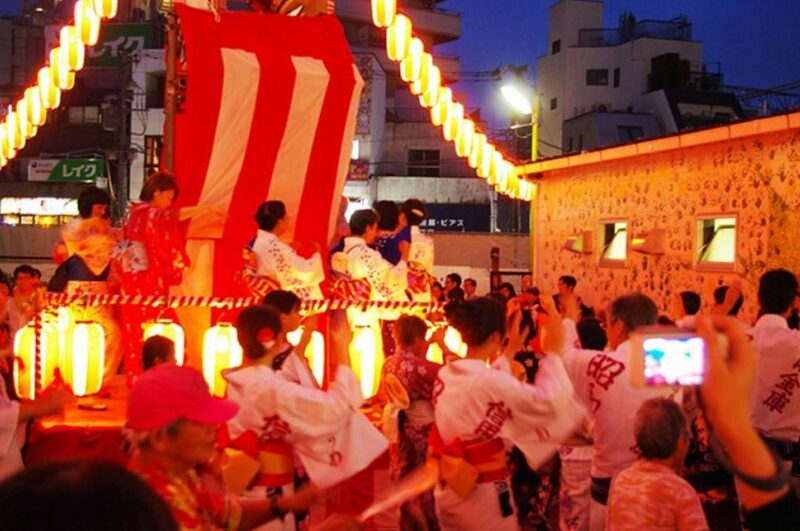 If you’re a fan of games, live music, and the traditional yagura with dancers dressed in traditional kimono, then make sure you visit Shimokitazawa during the middle of August! The festival draws in locals and tourists alike, so there’s plenty of fun to be had by everyone! 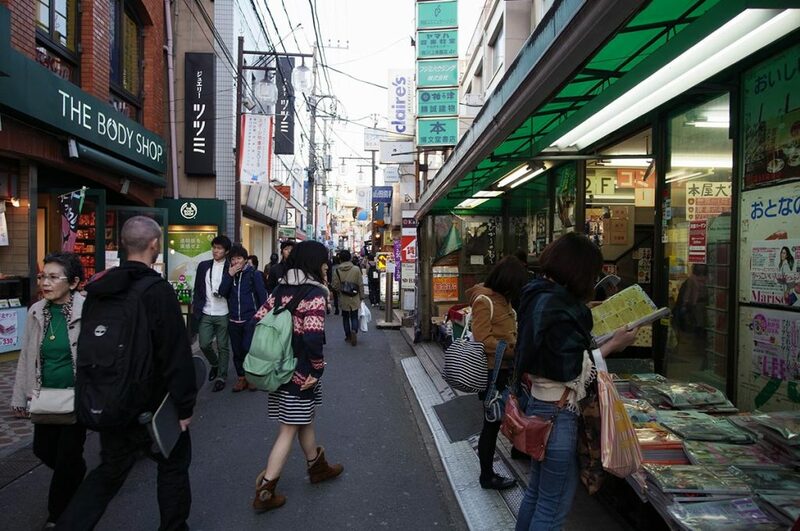 Snacks and drinks are available, but are always known to run out quickly; good thing there are so many eateries and cafes readily available in Shimokitazawa! 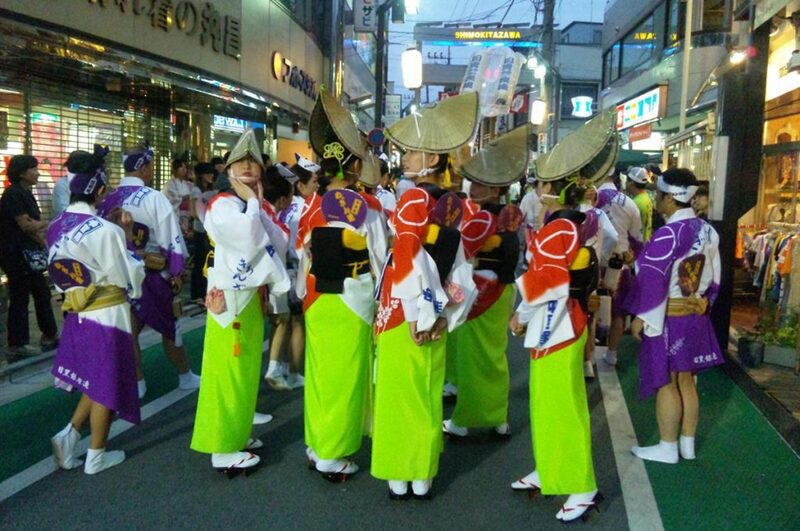 A true summer pastime, the Awa Odori Festival is a time when organized and synchronized dancers parade around the streets in traditional Obon outfits. You can watch the parades, enjoy food and drinks, and engage with the locals! Be sure to take lots of pictures – you’ll want to remember this awesome event held every year around mid-August! 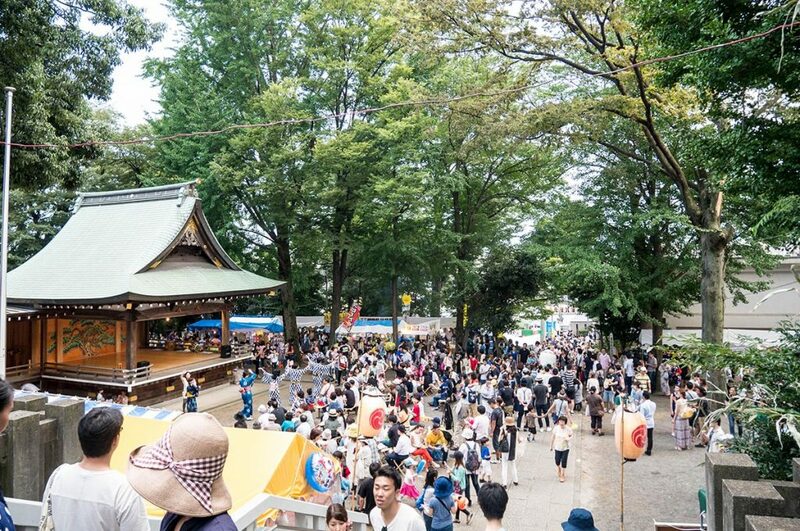 If you want to see a traditional shrine festival, head over to the Kitazawa Hachiman Shrine to experience it all! Omikoshi are carried by several people through the streets, and dashi are pulled and pushed as the crowds watch in eager anticipation! This is one festival where being a loud foreigner is a plus! Held in early September, you can enjoy the slightly cooler weather as well! 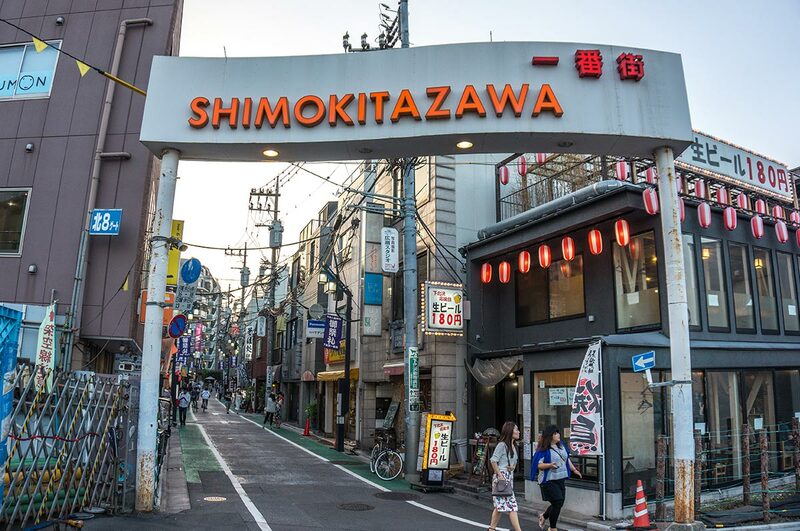 No matter where you go in Shimokitazawa, there’s always something to see, do, eat, or drink to enhance the fun and enjoy yourself to the fullest! 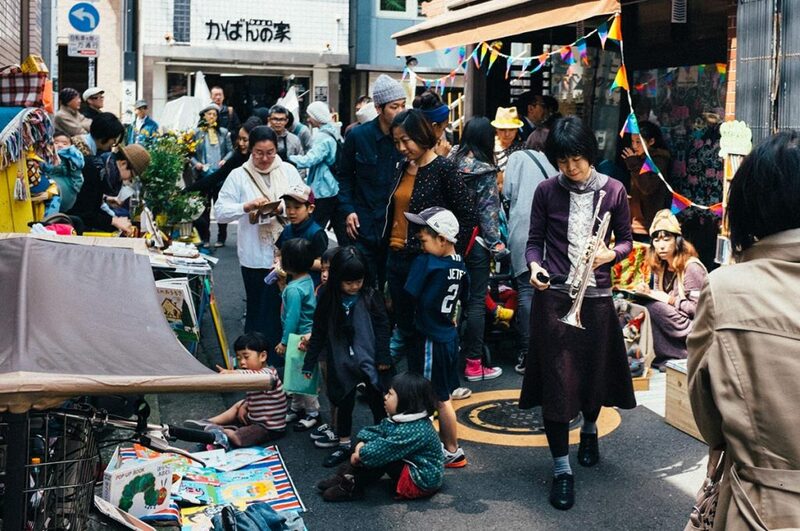 From vintage clothing and antiques to bar hopping and delicious food, Shimokitazawa is one of the top must-see areas for anyone who appreciates being ahead of mainstreams trends and ideas! 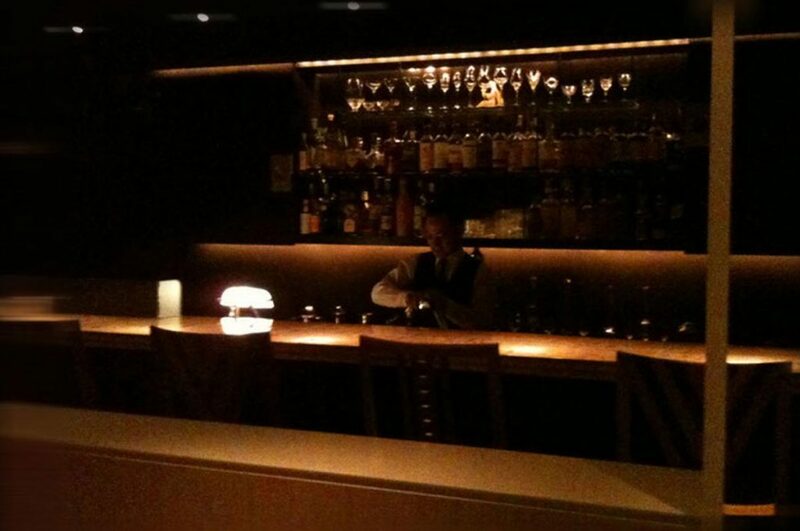 Have you been in Shimokita yet? Let us know! 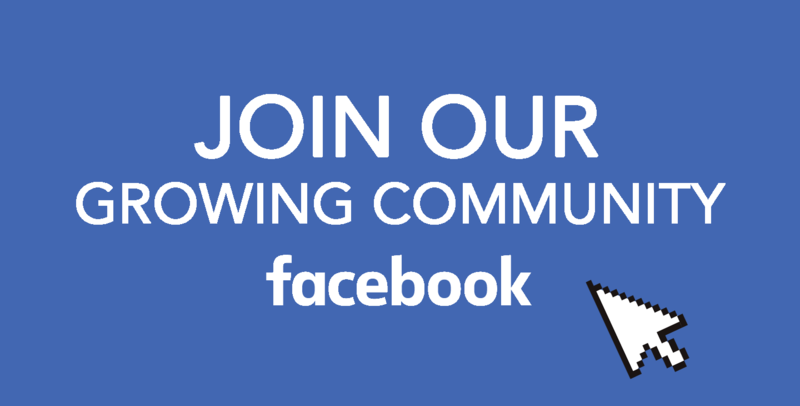 You can share your thoughts about Japan on our Facebook group. Don’t forget to follow our accounts on Facebook, Instagram, and Pinterest, and keep yourself tuned about Your Japan news.